Carved of solid cherry about 30 years ago, this Georgian style end or lamp table is graceful. The restored finish is in excellent condition, enhancing the figured cherry grain. 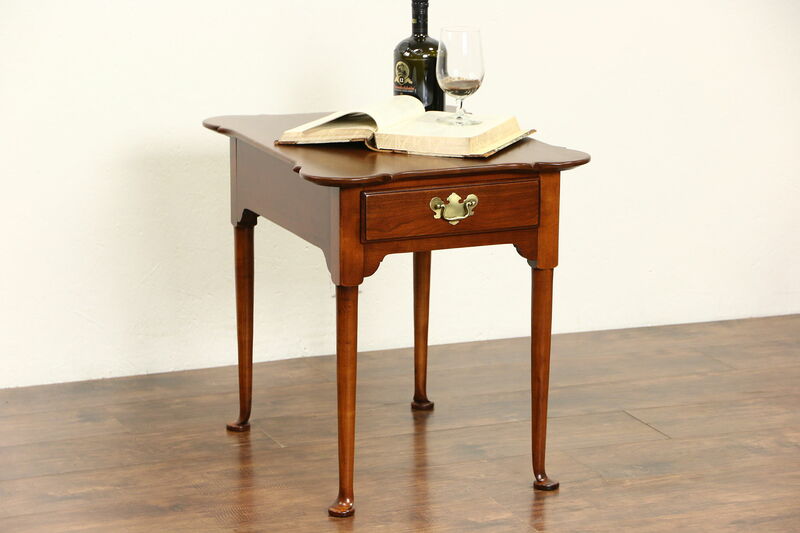 Signed "Made in USA," the drawer has dovetailed joints on this traditional vintage furniture. Size is 20" wide, 26" deep and 23" tall.